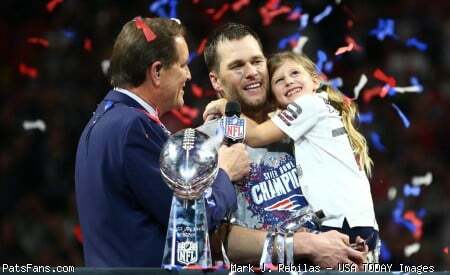 Discussion in 'Patriots Draft Talk' started by manxman2601, Mar 21, 2019. Johnathan Abram, S, Miss St.
David Sills, Garry Jennings, WR, W Virginia - Worked out by us. Will Grier, QB, W Virginia - "expected to meet"
Little has also drawn significant interest from the Miami Dolphins and New England Patriots. Little interest shown in DT or DE early. Safety or CB too. I wonder if BB feels that the DE that he likes will be out of reach, 2 down DT has a lesser value in this new defensive scheme, and there are not many CB and S in this draft that can match up with big WR in this draft ? I guess he may be targeting big slot WRs (because the little ones are in high demand and don’t have Edelman/Branch SS numbers), TE, OL, QB, lower level long limbed DE/LB/CB. Greg Little looks a little like Trent Brown to me (although obviously smaller). Very good pass protector but he is a little lazy and his run blocking needs a lot of work. The amount of times he just runs to a space with no one to block is infuriating. I could see Dante knock him into shape though as he has the physical traits. One of the only OTs likely available at 32 who actually played LT as opposed to RT. Edit: That report a few posts above also mentioned the Dolphins with sig interest and the Texans and Titans as having worked him out. See a link there? I like this comparison. Little looks so strong in pass pro. Stonewalls rushers. Easy mover, big kickslide, relaxed in his stance but not lacking core power, patient hands -- he's the whole package against the pass rusher. Yep - once he locks on to a rusher he is dominant. Absolutely stone walls them. Saw Montez Sweat get round the edge a couple of times but that was the exception. His run blocking will need some improvement and he tends to think his job is over way before the play finishes. But I think that's easier to work on as he has the pass protection skills, which are a solid foundation. So what’s the downside? Why is he considered A 2nd rounder and not a first? I think @zimmy covered a few concerns above. Additionally, there are some rumblings about his laziness, although I think those are overblown. Brown is a good comparison. He's not my first choice of any player, but I can almost guarantee that Scar would turn him into a pro bowler if Little is willing to buy in and take hard coaching. He seems like a good candidate to become the RT of the future giving us two cost-controlled bookends for the next 3-4 years. If you watch it shows imo. Big time flasher but his feet & hands are literally hit or miss. Which of course leads to a bunch of other issues. I'd be thrilled if we got him after 32 bc I do think he has a ceiling. Been waiting to hear if we would look at Cajuste. Seems like a solid fit. Ford (your previous post) seems likely to go higher than we're drafting, but we're doing a lot of work on top 50 OTs. We sure are. I think we might be looking to replace Cannon after this year which might mean being able to use his money on Thuney hopefully. An interior OL signed for the long term bookended by two highly drafted cost-controlled tackles is quite a good strategy. One of the few we haven’t heard about is Dalton Risner. I suspect that’s because they’re comfortable with their grade on him.